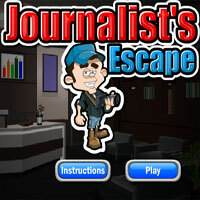 Description A journalist hides himself in a box to go inside an office to get details of the unlawful activities of the owner. During his search for evidence, he comes across a laptop for which he needs a password to copy the file. Now he has to find the password using the clues and objects around the place, also the key to open the door for him to come out of the office.